A mighty, mighty offering from Dalmore. Whiskies do not get much spicier and fruitier than this 18 year old Highland malt. 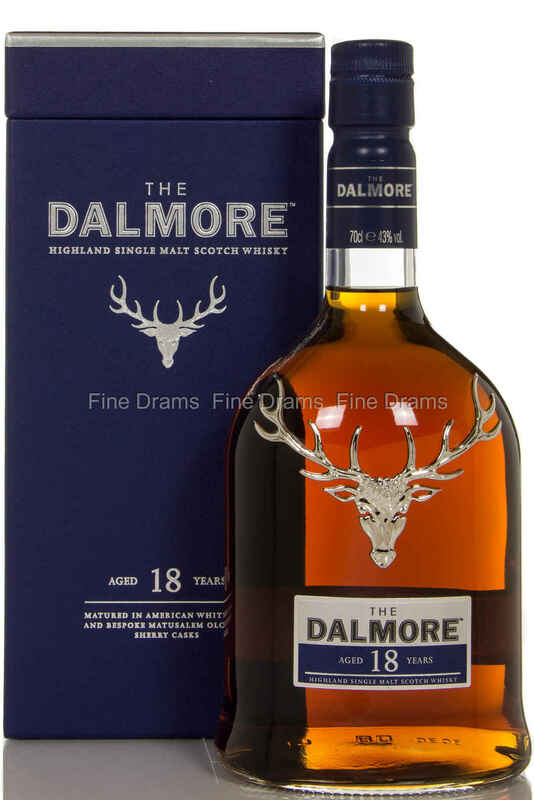 Dalmore 18 is almost a classical “old-school” whisky of years gone by- proper curling up by the fire stuff. The distillery first matures the spirit for 14 years in bourbon casks, before transferring to matusalem butts for three years and sherry butts for another year. The result is a deep and intensely chocolaty whisky, full of citrus and coffee character. A perfect whisky for the colder months.